Built to Spill released their first album Ultimate Alternative Wavers in 1993. Since then the band has released five additional studio records, toured extensively throughout the world, and have aquired a devoted fan base. 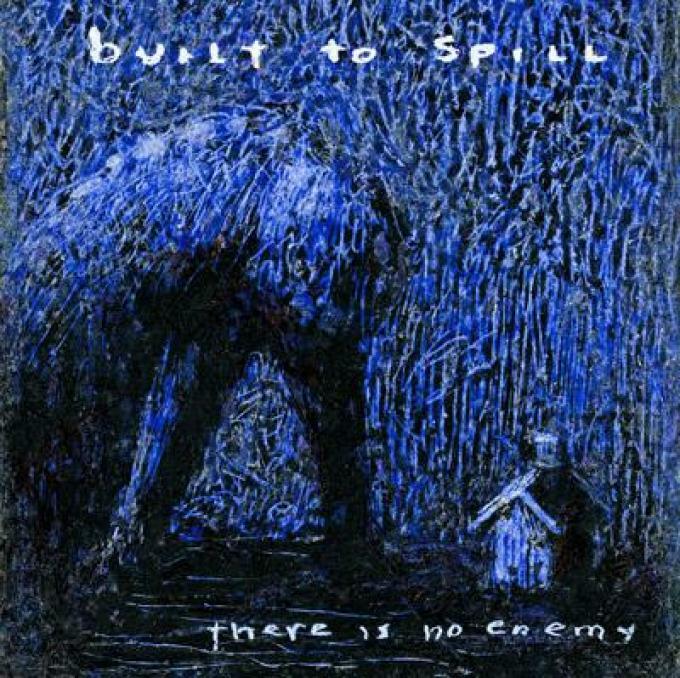 On October 6th, Warner Bros. Records will release Built to Spill’s seventh studio album, There Is No Enemy. 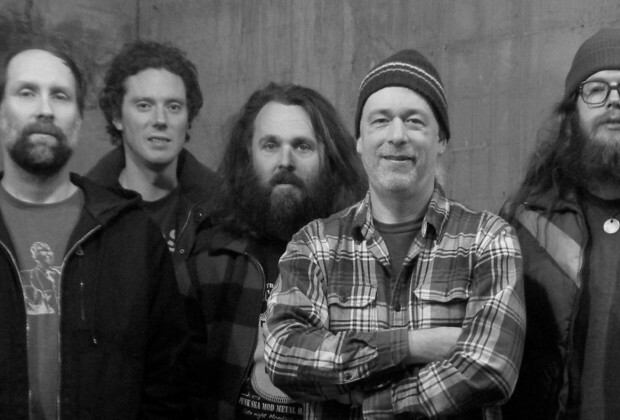 I had a chance to talk Built to Spill’s frontman Doug Martsch about the new record, how the band works in the studio, and the Boise music scene. Congratulations on your new album. It’s been about three years since your last release. Does this album contain a new material or were these songs written before? It’s a bunch of songs we made up through the years. There are things that have been written over that period of time and there were a few songs that were going to be on the last record that we re-recorded. 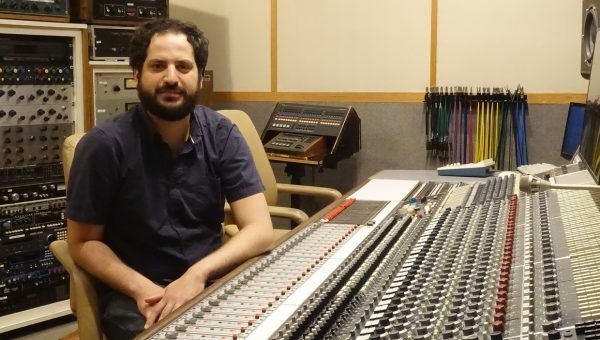 What is the songwriting process and how does Built to Spill work in the studio? Do you bring in songs and work them up or do you rehearse them live? It depends. On each record it’s different. On this record the songs were pretty much written by me and then the band fleshed them out. We practice them during sound-checks. Some of them we’ve played live. And then some of them just had to be readdressed when we recorded them. Things that we thought were fine just really seemed like they could be a little more interesting, have a little more going on or have a different feel or something in the studio. Maybe half of them were pretty much figured out and half of them we had to kind of mess around with a little bit more once we got in the studio. 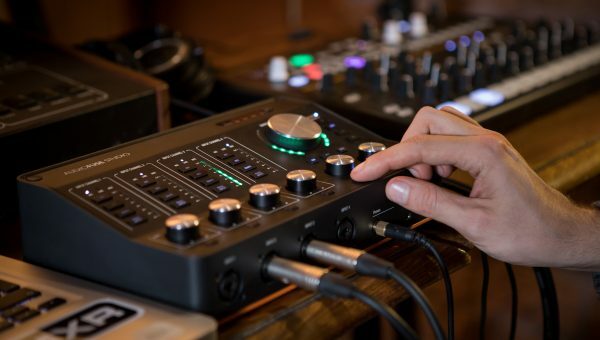 When you’re in the studio, is it strictly business or do you use it as a place to experiment? There’s quite a bit of experimenting. There are a few songs that we pretty much know what going to happen. Even in those songs there’s still some messing around and experimenting. This record, it seems like we did a lot of stuff, did a lot of overdubs and then kind of put a ton of stuff on and then sort of backed off. Kind of back and forth doing that. Making up things, adding them and then taking things away until we came up with what we liked. I think that a lot of it, we wanted to, well I wanted to, keep the songs sort of simple. They seem like kind of conventional songs and adding a lot of stuff seemed contrived or something. Do you have your own studio or do you take it elsewhere? We recorded it at a place called King Size in Los Angeles. I have a little studio at home. I worked on some stuff there as well. Can you tell us about your guitar set-up in the studio? Our guitar player Jim (Roth) collects amps and guitars so we had a wall of amps to choose from. Towards the end of it, when it was just me and the stuff I did at home, I mostly used my (Fender) Deluxe Reverb because it was just a real versatile solid amp. Is that the same one you take on the road? No, when I go on the road I use a (Fender) Bassman because the Deluxe Reverb isn’t really loud enough. It looks like you’ll be on the road for nearly two months, do you enjoy touring? You know, I enjoy it other than having to leave my family, my home and my dog and all of that stuff. But I like to play. I like to hang out with my band. 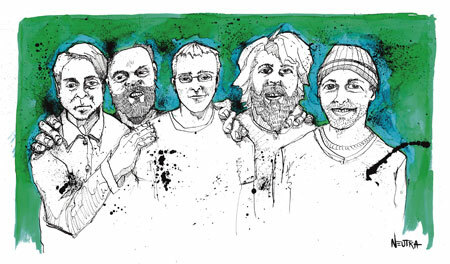 Built to Spill has been known to play multiple nights in smaller clubs in the same city. How does that help or enhance the tour and performances? That’s kind of just fun for us. Especially when we’re driving. This tour we’re taking a bus. We’ve only taken a bus out once before in the States. We’ve always gone out in vans. It’s a real nice break, especially for our drivers, to just spend a couple days in a city. That’s really the main reason. Just to have a little breather and be able to spend the day doing something besides sitting in a van. That was why we did that a lot. This tour we’re not doing much of that because we are going to be on a bus. It seems you can get a little more comfortable too. You’ve played a run at Slim’s here in San Francisco and it seems by the fourth night everything is dialed in. Totally. Not having to sound check, just showing up to play, it’s a lot of fun. And I think we’ve probably played Slim’s more than any other club anywhere. Now when you’re coming through San Francisco, you’ll be playing two nights at the Fillmore. Yea, I’m looking forward to it. We had a really good time there last time. Recently you’ve toured and performed your album Perfect From Now On in its entirety. I think you added additional musicians to do that as well. How did that idea come about and can we expect other albums to be given the same treatment? I don’t know. I’m not thinking too much into the future right now. I’m just thinking about this tour and this record coming out. So I haven’t give much thought at all about what’s going to happen after this. Speaking of the tour, what musicians do you have on the road this time? It’s the band, which is five of us, the rhythm section and then three guitar players. And then John McMahon, who played cello on that (Perfect From Now On) tour, he’s not with us but he played on a song on the new record. 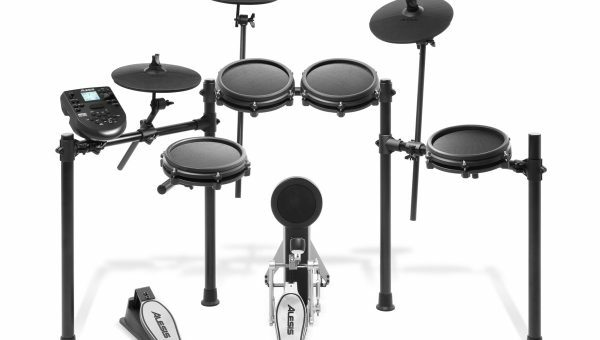 Hopefully I’ll get to play with him again. I love playing with him. He’s kind of a person though who does other things and he’s not playing cello regularly. He doesn’t really like to play. He likes to have a couple of months to brush up. You have a local show tonight. Do you feel there is “music scene” in Boise? And who are some of the bands coming from there? Definitely. There are a lot of different types of bands. There’s a real good band called “Le Fleur.” My friend recorded their record. It’s amazing. Sort of, I don’t know, something kind of along the lines of Sonic Youth-ish, but totally their own thing. Do you get involved with working or producing other bands? No. But we like to play with them and take them on the road. Some of our shows up in the Northwest at the end of this tour are with another local band called “Finn Riggins.” They’re another great band. And I go out and watch bands quite a bit, mostly just local bands or my friend’s bands. There are a lot of bands here in town. It seems that some cities at different times have a lot of great music coming out of it. Yeah, totally. You know I have no idea what anyone else thinks of music or whether anyone in other towns will be interested in the bands from Boise but I love them. And that’s all that really matters. 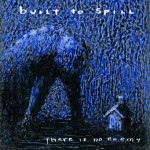 Built to Spill released its fist album in 1993 and is still going strong. What are the challenges in keeping a band together? You know what, we haven’t had many. We just had a lot of great fortune, a lot of luck. I mean I think it’s hard to keep a band together for several reasons but we just haven’t had to deal with them. I think mainly its hard for people to get along and we’ve all been able to get along for all these years. And people have been coming out to our shows so we’ve been able to keep our morale up. We’ve been able to make a living off of it, which is a huge thing too once you get to a certain age and you have kids and other things, and a wife and a family and all those sorts of worries. A lot of people aren’t able to go out on the road anymore if they’re not actually making enough money to make it worthwhile. We’ve been fortunate in all of those areas. And otherwise, creatively and stuff, I think live, the band is just really fun to play in and the band’s good, you know. And the guys that play in the band are all really good players. Then to make records and that sort of thing, I don’t feel at all like we’re running out of ideas or anything like that. I feel like, if anything, we could probably do something better than anything we’ve ever done before. Along the same lines, do you have any advice for bands just starting out today? Well basically, be very fortunate and have a lot of good luck. I really have no advice because I think that the advice is cliché, like “work hard” and that kind of thing, but that’s what people do anyway. They’ll just do it and it won’t necessarily get you anywhere. You work as hard as you want, if you don’t have some sort of, I call it luck or whatever it is, some kind of fortune that people are interested in what you’re doing. I don’t know how to account for any of that. I really have no advice at all.